The Government�s vision is for every home in Great Britain to have smart energy meters, with business and public sector users also having smart or advanced energy metering suited to their needs. The roll out of smart meters will play an important role in Britain�s transition to a low-carbon economy and help us meet some of the long-term challenges we face in ensuring an affordable, secure and sustainable energy supply. Consumers will have real time information on their energy consumption to help them control and manage their energy use, save money and reduce emissions. Smart meters will also provide consumers with more accurate information and bring an end to estimated billing. Energy suppliers will be responsible for replacing over 53 million gas and electricity meters, involving visits to 30 million homes and small businesses. The mass roll-out of smart meters is expected to start in 2014 and to be completed in 2019. The majority of consumers will receive their smart meters during the mass roll-out. Smart meters are the next generation of gas and electricity meters and they can offer a range of intelligent functions. For example, they can tell you how much energy you are using through a display in your home, and no one will need to come and read your meter because they can communicate that directly to your energy supplier. Your energy company will be able to send you accurate bills without having to visit your home to read your meter. So you will only pay for the energy you actually use - no more estimated bills. You will be able to use a display in your home to monitor your gas and electricity use and so cut energy waste and save money. The full business case for smart meters shows that they will bring �7.1bn in benefits to the UK, after the costs have been taken into account. Most households will have smart meters installed between 2014 and 2019, although some energy companies are starting to install smart meters now. Some energy companies are already rolling out smart meters and others are running trials. If you are interested in getting a smart meter now, shop around and contact different energy companies to see what their plans are. I use a prepayment meter. Will I still get a smart meter? Smart meters can work with remote credit top-up facilities so that, for example, you won�t need to go out after dark to buy more credit. Your smart meter can be set so that if you do run out of credit at night or when the shops are shut you won�t be left without power - your energy supplier can tell you more about what they are going to do. How much will it cost to get a smart meter installed? You will not be charged separately for a smart meter or for the in-home display. Under current arrangements you pay for the cost of your meter and its maintenance through your energy bills, and this will be the same for a smart meter. Will I still be able to switch supplier when I have a smart meter? It�s important that consumers should not have any problems in switching energy company if they have a smart type meter. Ofgem are currently consulting on new conditions to deal with the smart type meters that are being installed today. In most cases the meter can still be used in �dumb� mode if the new energy company cannot support the smart functionality at this stage. Ofgem�s proposals include obligations on energy companies to make clear to customers where they will lose functionality on change of company and obligations on energy companies to facilitate the use of the smart functionality. How do smart meters communicate with my energy company? Most of the smart meters that are being installed today use mobile phone-type signals to send meter readings to your energy company, and other wireless technologies to send information to the in-home display. However, there are a number of other technologies available. A decision has not yet been made on the technology (or technologies) that should be used when smart meters are rolled out to everyone. Who will be able to see my energy consumption data? The Government recognises the need to strike the right balance between protecting consumers' privacy, and ensuring that proportionate access to data can help realise the benefits of smart metering. You will have a choice about how your energy consumption data is used, apart from where it is required for billing and other regulated purposes. You will be able to see your real-time energy consumption data on your in-home display. You will also be able to download more detailed historic data from your home network, should you wish to. You will also be able to decide to pass your data to other companies such as switching sites if you want them to give you advice on the best tariff for you. Who is in charge of the smart meter roll-out? The Government is requiring energy companies to install smart meters for their customers, and is setting out rules to ensure that they do this in a way that is in the interests of consumers, including rules around data access, security, technical standards for the smart metering equipment, and meeting the needs of vulnerable consumers. Smart meters will be rolled out as standard across the country by 2019. But it will not be a legal obligation on individuals to have one. The roll-out of smart meters is an important national modernisation programme. This will bring big benefits to consumers and the nation. We expect consumers to welcome the benefits smart meters will bring. We aim for all homes to have smart meters by 2019. Energy companies will be required to install smart meters and take all reasonable steps to reach everyone. However, we do not expect energy companies to take legal action to fit a smart meter if they cannot get the householder�s co-operation. How are you ensuring smart meters are safe? Smart meters are covered by UK and EU product safety legislation, which requires manufacturers to ensure that any product placed on the market is safe. 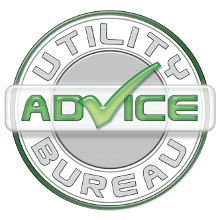 The Health Protection Agency (HPA) provides advice and information on the health implications of smart meters, as it does for a range of technologies commonly found in homes and businesses across the UK. Further information about smart meters and health can be found on the Health Protection Agency: Smart meters web page. Contact your energy supplier or see the Smart Meters web pages for more information on the Government�s programme.